When planning a corporate event, it’s important to be organized, practical, and efficient regarding all the deadlines, bookings, and research that go into constructing an affair. Party planning definitely takes time and patience, but if you know how to choose the right venue for your event, it can immediately make the process easier and more enjoyable. With a corporate audience, the event needs to create opportunities for networking, team building, and collaboration, so that employees can fashion tighter bonds and learn how to effectively work together within the company. Here are five tips for choosing the right venue, so that your event is stimulating to guests and run as smoothly as possible. Venues differ in price, and it’s important to stay within your budget when planning your event. If you are having a weekday event, you might be able to negotiate a lower fee, due to less demand and competition within the area. Many venues have higher prices on Friday and Saturday or are booked, so if you have your heart set on a certain venue, opting for a weekday might be best. However, if you are hosting a corporate event on Friday or Saturday, being open to venues that fit within your budget but can still offer a stimulating environment for guests. In real estate, it’s location, location, location; yet, it’s not much different regarding venues for events, either! You’re more likely to increase your guest list if you choose a location that is lively and convenient for your target audience. A venue near the office might be easy for people to get to, once they leave work, for instance. If you choose a venue that is too far from the office, it might seem more like a retreat or trip, rather than an evening or daytime activity. Will you be doing team-building, networking activities, such as games, scavenger hunts, or bowling? If so, a venue that is spacious enough for such activities will be required. It’s also a nice idea to include team-building activities at a corporate event, as they can strengthen relationships and enhance work performance once back at the office. If you are not doing these activities, perhaps a lounge that offers drinks and light bites might be a nice touch for an event and an efficient way for people to mingle and unwind after the workday. Having a budget set, a guest list, and knowledge of maximum capacity for certain event spaces will allow you to be more responsible in your planning and to avoid any surprises due to overcapacity or increase in budget. Be mindful in sending out invites and make sure to book a venue that can hold a few extra bodies (you never know if there will be last-minute attendees or +1’s!). 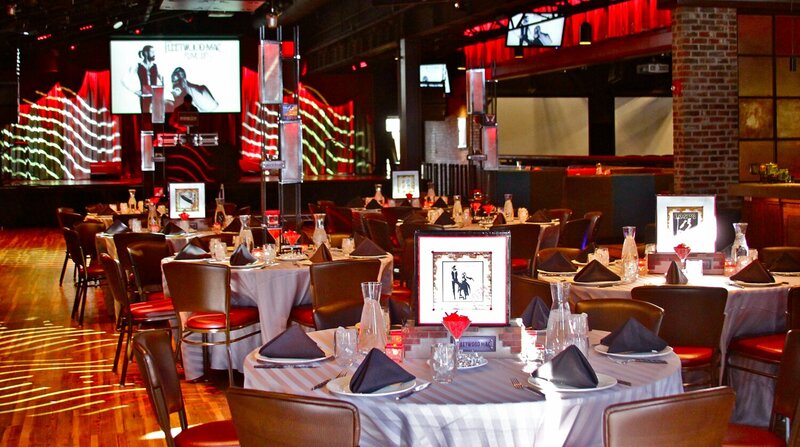 When choosing a venue, it’s important to find a place that can house entertainment options for the event. An event, especially a corporate event, can be boring if it does not provide enough entertainment value. Consider if you want an interactive experience, for instance karaoke, arcade games, cooking classes, or team-building games, or simply music, guest speakers, or comedic performances to entertain guests. Whatever you book, make sure it fits your target audience’s personality and values.